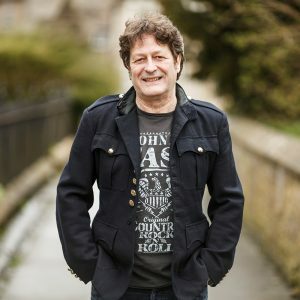 An English songwriter and performer with an incredible history working with some of the biggest names in the music business over the past 40 years, Burt includes iconic artists such as Freddie Mercury, The Troggs and Black Sabbath, to name but a few, in his fascinating bio. Burt has a new show launching in 2019 entitled 'Me, Myself & Icons'; together with an extremely popular Acoustic by Candlelight concert format and a full eight piece touring rock band. Beauhemia is not only responsible for these events, but also music video treatments, album artwork concepts & design, and marketing and promotion.